By Nancy Young in Gadgets. Updated on December 4, 2018 . 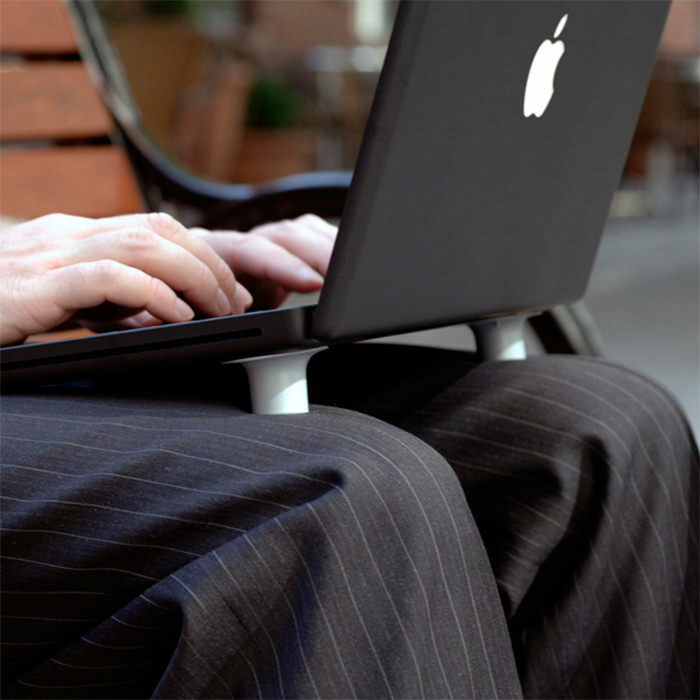 If you are always on the go, you probably work with your laptop on your lap a lot. After a while, you feel a strain on your wrists and neck – because that isn’t the proper position to work on for long periods of time. 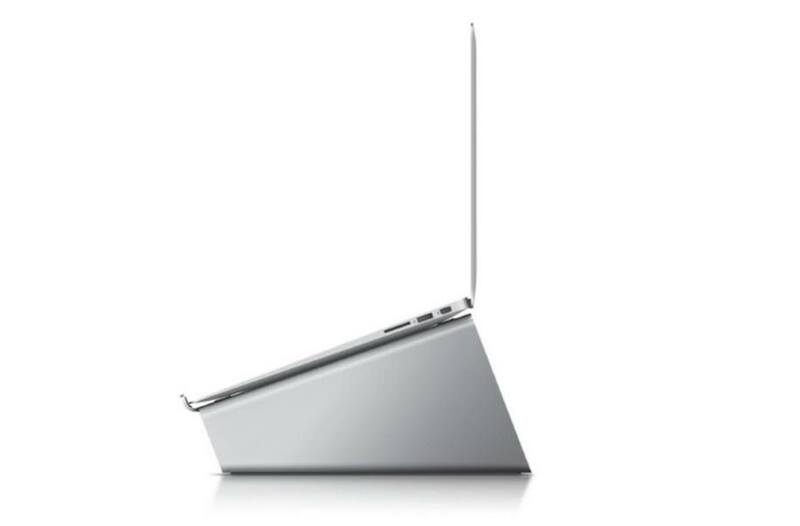 Plus, over prolonged use, heat builds up at the bottom of your laptop. 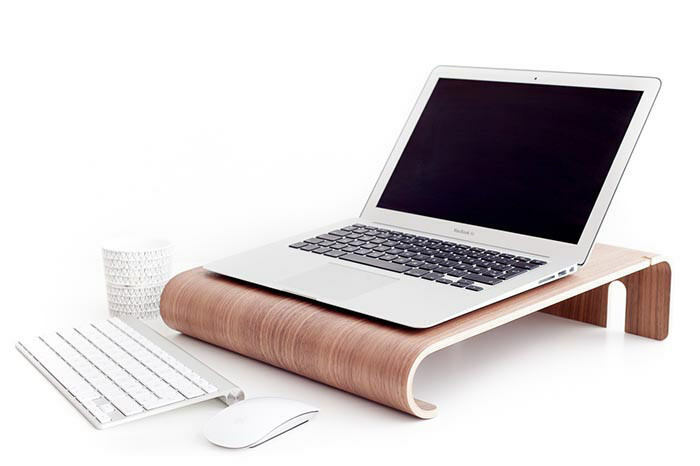 What you need is a laptop stand, and a portable one which you can take with you on the go. And in this post, we have more than 10 of these stands you can check out. 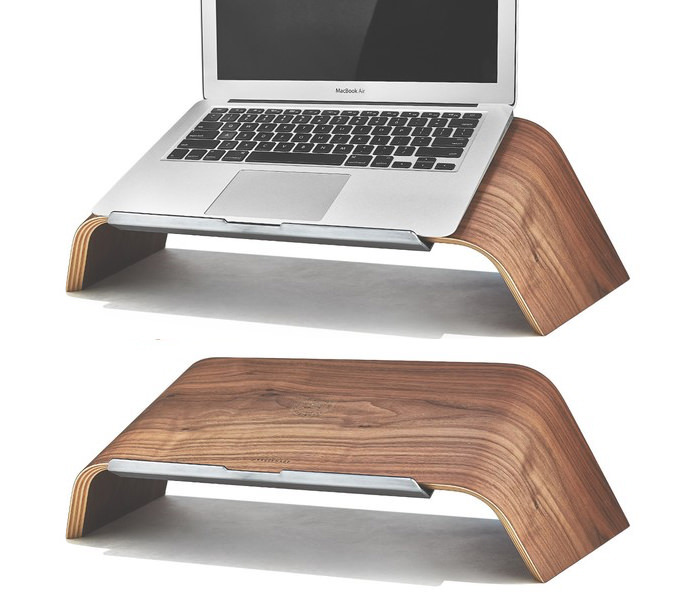 The stands elevate your laptop to the proper level for you to work at, as well as keep your laptop from overheating. 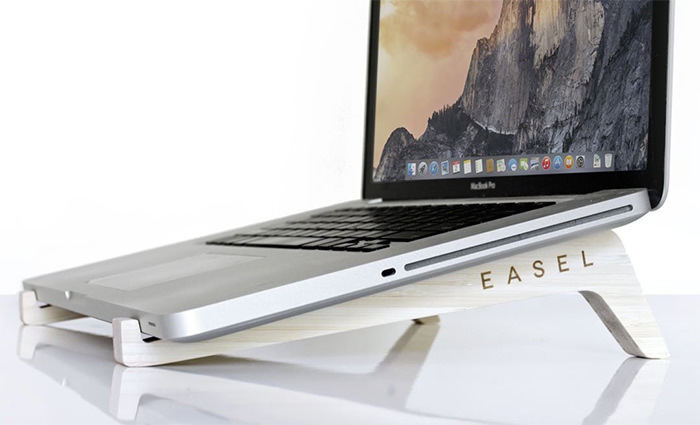 Available in silver, dark gray and champagne gold, Elago has two different designs (L3 and L4) which helps disperse the heat from your laptop effectively. 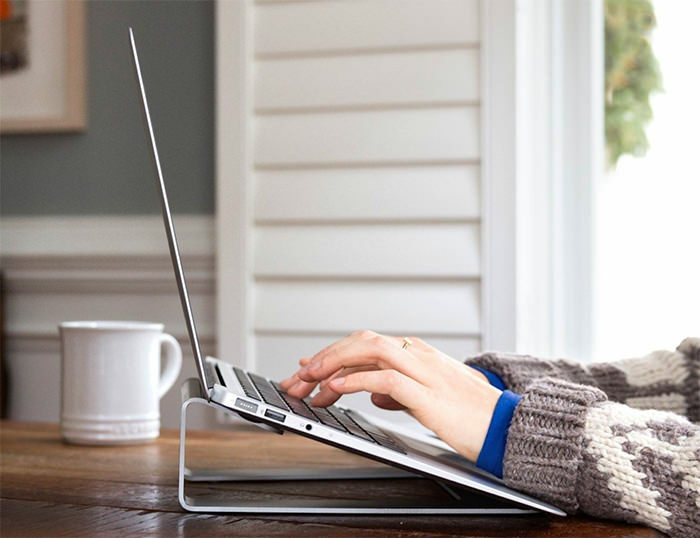 This laptop stand will lift your screen up for better viewing angle, but will keep the keyboard on the desk level for comfortable typing. 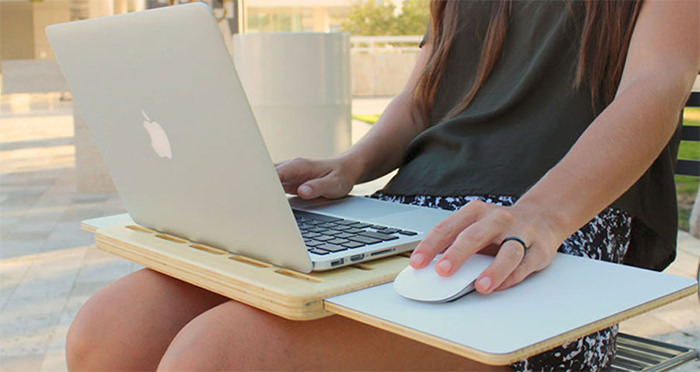 Now here’s a true-to-definition mobile lap desk. 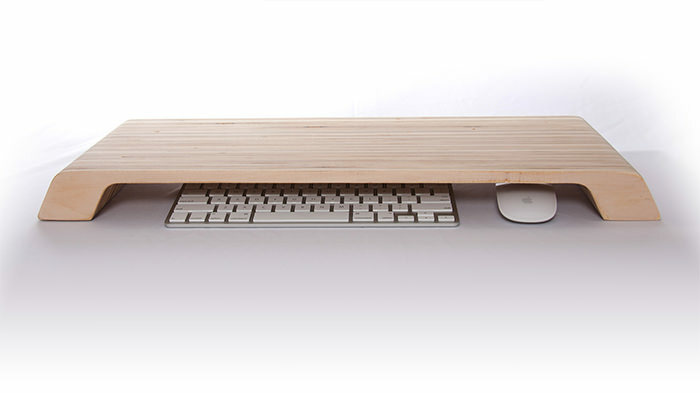 It has space for your smartphone, mouse and you can choose between a left-handed or a right-handed version. 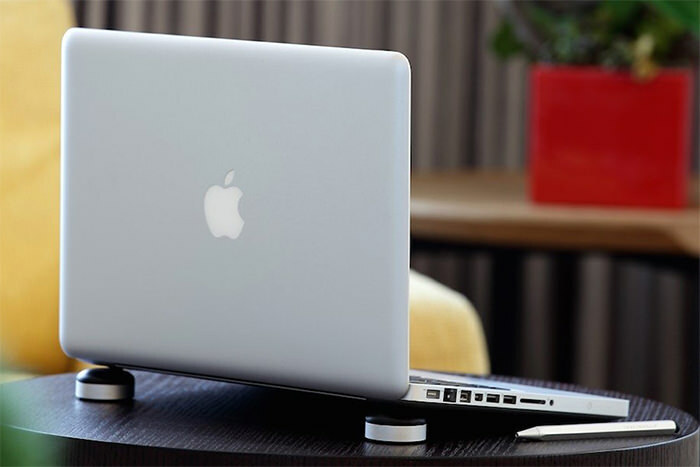 The GhostStand is a transparent modern laptop stand that keeps your Mac elevated. 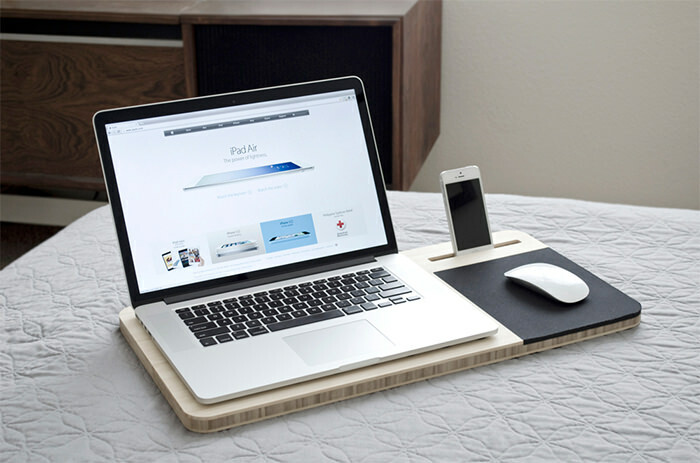 Use this desk for work or breakfast in bed. 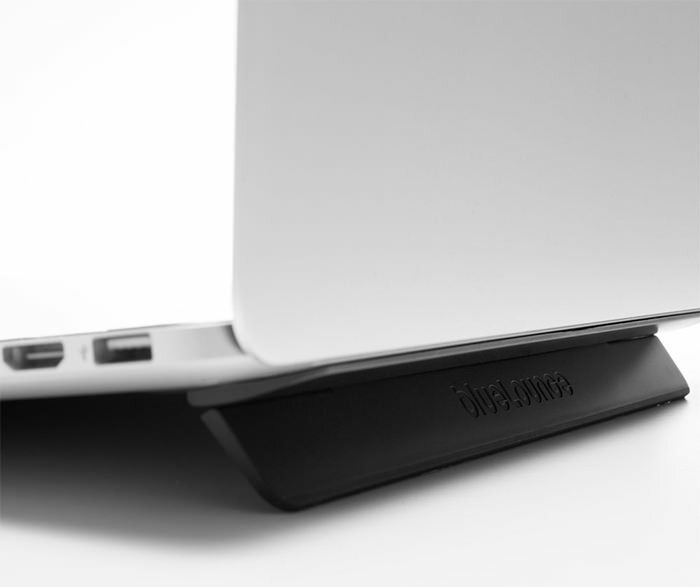 The height is adjustable and it has special holes to prevent laptops from overheating. Even has a small drawer for storing small items. 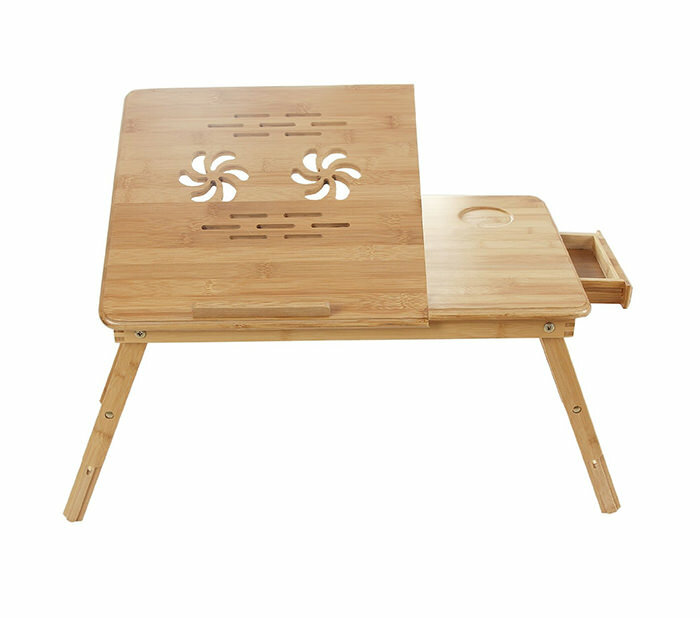 This 2-piece wooden laptop stand is easy to store away and easy to setup – no folding required. 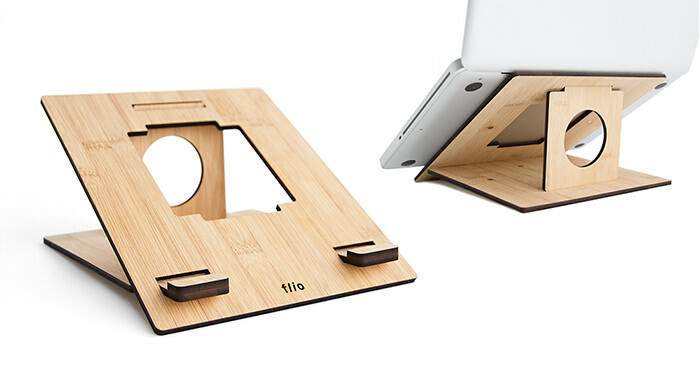 This stand will be useful for both laptop and tablet. 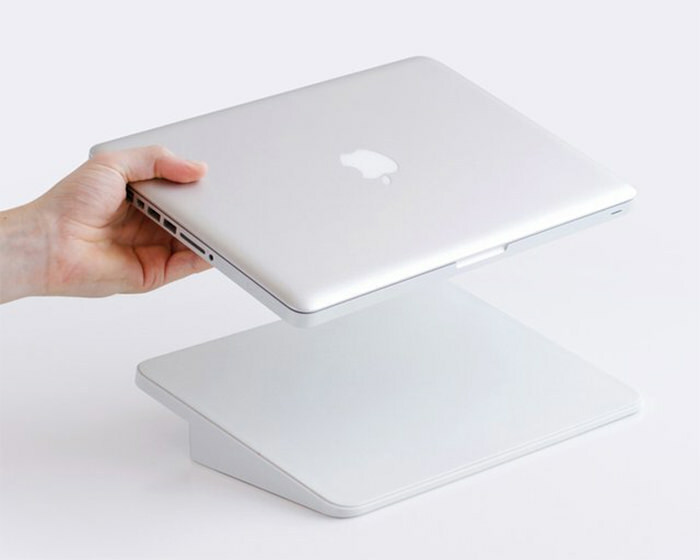 Just stick it to the back of your laptop and flip it open to use it as a stand. Do you do a lot of presentations on your laptop? 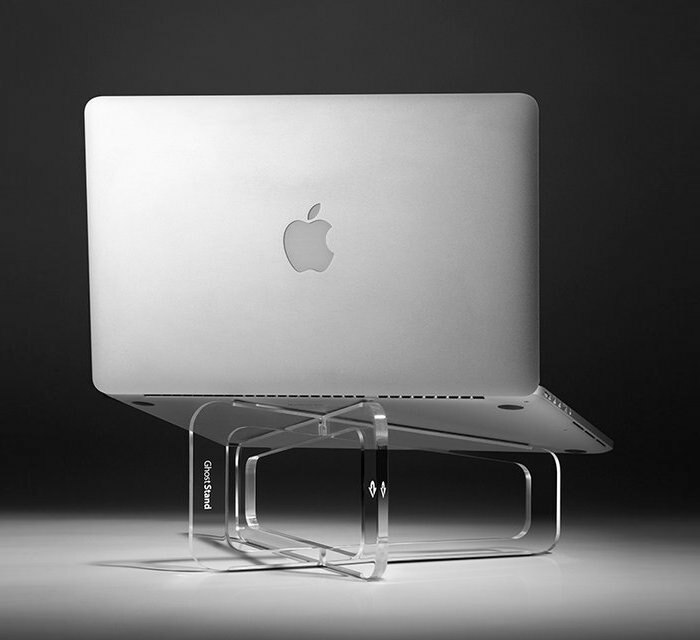 Maybe this stand will help elevate the experience. At the very least, it makes for a better viewing experience. 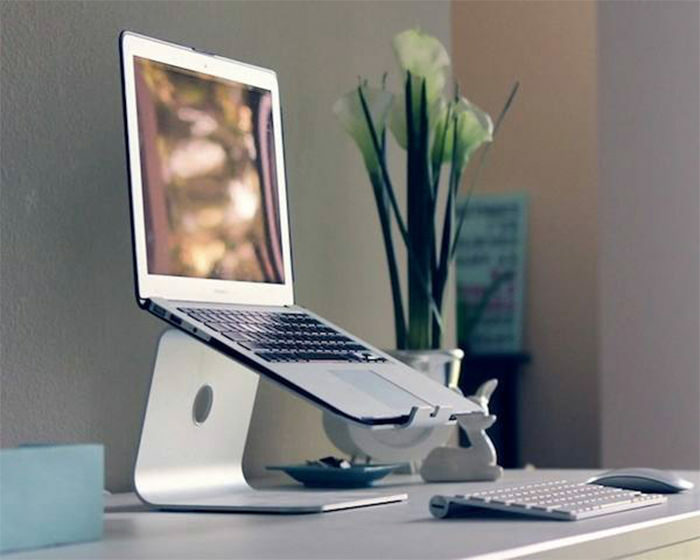 Here’s an aluminum padded stand that works for your laptop and your tablets. And when you need to make a move, clip the two together for easy storage.